Planning any group outing is a stressful process. Every detail has to be accounted for as you want to ensure the complete satisfaction of your group. 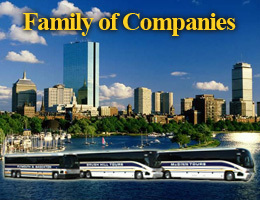 With the local knowledge and expertise of the Boston area, Brush Hill has the resources to plan, coordinate and implement the logistics of your tour, event, activity or transportation. Our specialty is destination management, so allow Brush Hill to assist you in planning your special event.